Children are a lot like tornadoes. They come out of nowhere, with little to no warning, and leave a trail of debris in their wake. While we do have storm chasers and Doppler radar to act as advanced warning systems for severe weather, nothing can you prepare you for the mess that children can create. If the storm has transported your child to another time and place, they may need a new pair of shoes before they go exploring. 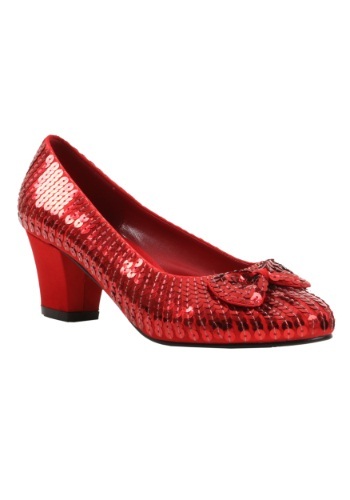 Whether traipsing down a street covered with yellow bricks or walking in the woods to visit her grandma, this red sequined shoes are sure to please. Now, close your eyes, tap your heels together three times, and transport them to your shopping cart. If only cleaning up after your kids was that easy!